I like my makeup to be hassle-free and idiot proof. For this reason, I used Bare Minerals for a while. All I had to do was swipe some stuff on my face and go. It’s a good product but didn’t always give me the kind of coverage I really wanted. 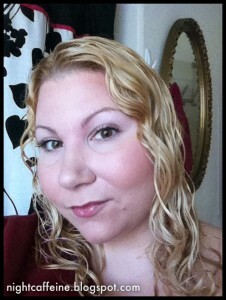 My “Summer Makeup” I’d been using was Neutrogena Clear Skin foundation, concealer and powder. The slightly off-white color that I’d accumulated over the summer (other people get tan… I just get slightly less transparent looking) had worn off and my makeup did not look right on my skin anymore so I got my coupons and headed to Walgreens, my favorite place to buy cosmetics. My face after makeup time. This includes Fit Me Foundation in 115, Fit Me Pressed Powder in 120, Maybelline Falsies Mascara, a lip gloss from Sephora I got for free with my rewards points and Essence Blush (courtesy of Kizzy!) All in all, I really like my new makeup. It is light and looks natural and not cakey or over-done. It lets my skin look young the way I want… I’d definitely buy this foundation again, so they better not stop selling it. Oh, how do you like Falsies? I haven’t tried it yet. I liked Falsies a lot the first few times I used it, but it seems too thick… I usually wipe most of the mascara off the brush before using it so I don’t get tarantula eyes. Oh, I like thick mascara! Since I already have pretty long lashes, I like to have a mascara that gives me volume. 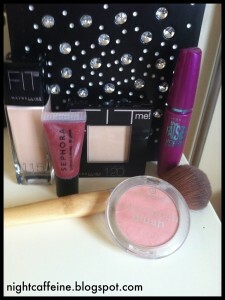 I’ve always wanted to try Bare Minerals. Since I have freckles and over all clear skin (I get blotchiness though)… i have no desire for liquid make-up, I use only a powder. But I’ve always been to cheap to shell out the bucks for it! Was it worth it??? 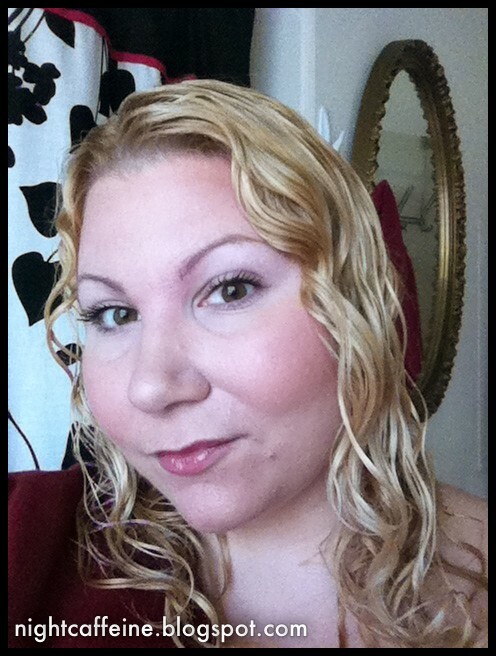 It was definitely worth it… I loved bare minerals when my face was clear, but lately I just need extra coverage. I like Bare Minerals and they often have really good sales on qvc or sephora!